The best Southeast Asian ingredients all in one. Everyone's favorite spicy soup (Gus). 1. 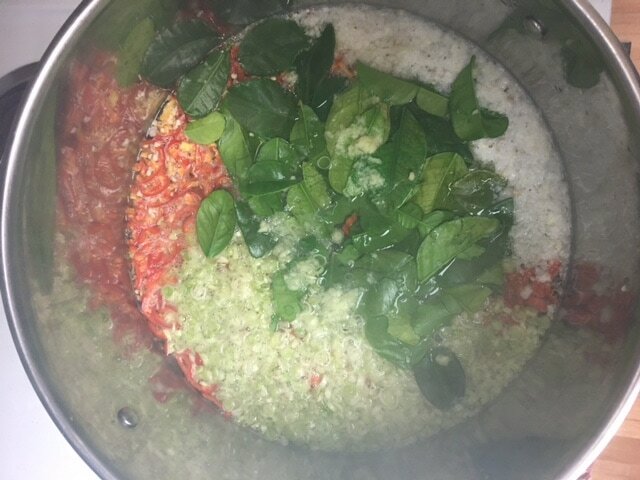 Juice the limes, peel the garlic, slice the chilies very thinly, and grate the ginger. For lemongrass, peel and throw out the outermost layer and slice thinly. Tear the kaffir lime leaves to release the flavor. 2. Cut the tomatoes and white onions into relatively large wedges. 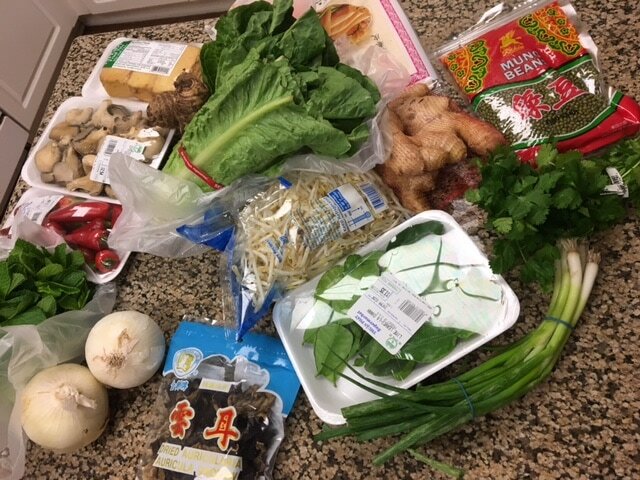 All bought from the Asian grocery. ​4. Turn the flame to low. 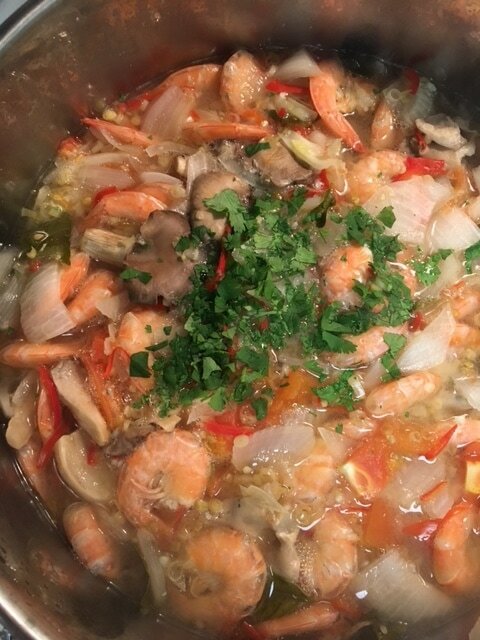 Don't worry about peeling the shrimp - leave that for the masses. 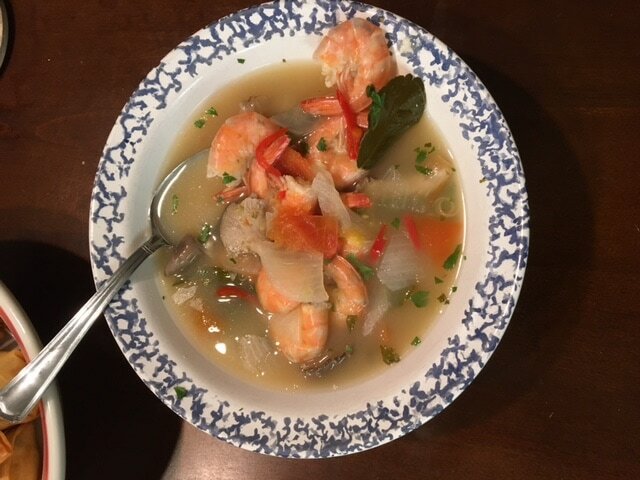 Add to the broth. ​5. Next, add the mushrooms. No need to cut unless they are exceptionally large. 6. Now, add the tomatoes and onions. 7. 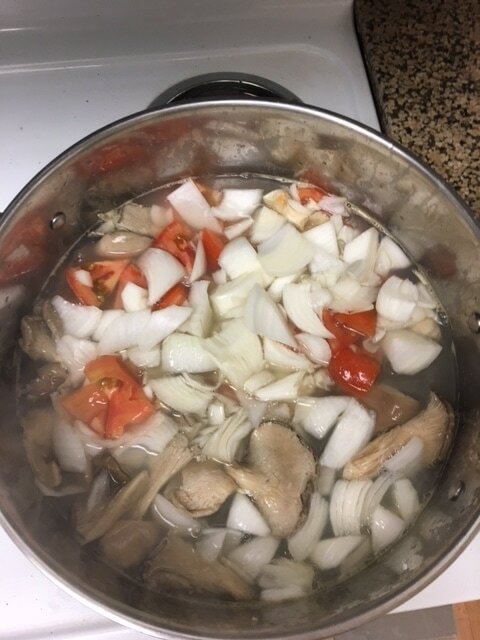 Bring back up to a boil for 3-4 minutes to soften the onions, mushrooms, and tomatoes. Be careful not to overcook the shrimp. 9. Turn off the heat and taste test. Enough fish sauce? Probably not. It should be sour and salty. Add sugar and lime juice if needed. Then throw in the cilantro, and it's time to eat!